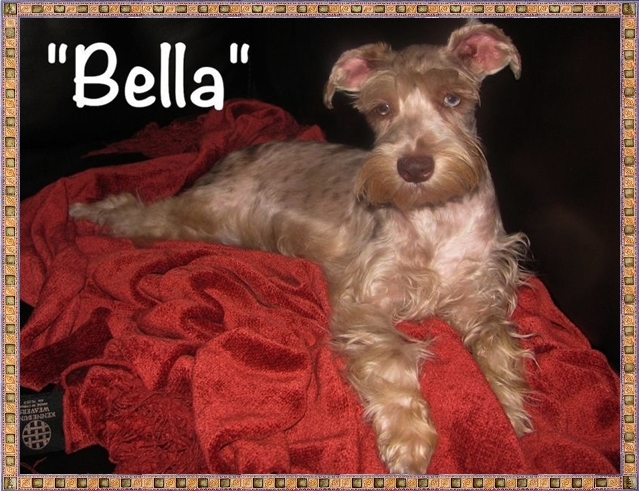 Bella Mona Mia is our first merle schnauzer. 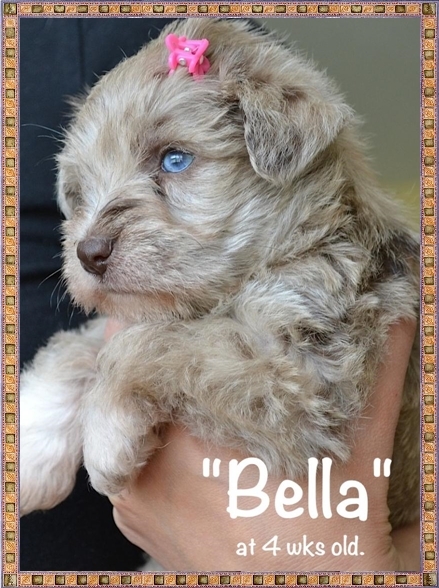 She is a MSCA registered chocolate/parti merle with one eye being almost all blue and the other being partial blue. Bella is 13" at the shoulder and 17 lbs. There isn't a bad thing I can say about Bella. 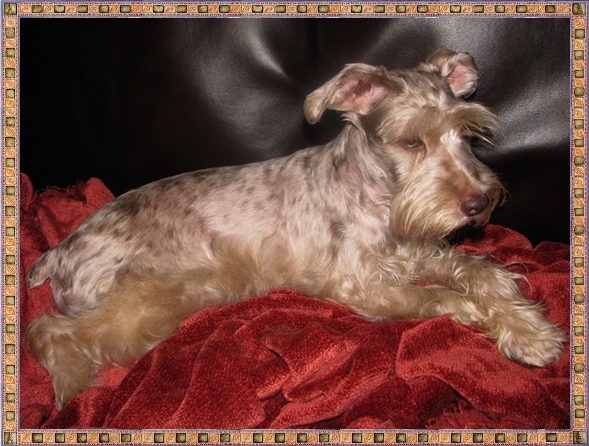 She loves everyone who she meets, she is great in the bath and patient when being groomed. We have not really heard her voice so she is not a barker. Bella loves to sit and cuddle and loves to be right by us at all times. She loves the other dogs and is such a gentle girl with kids, actually she is very gentle all the time. Not a fan of big dogs but had she been introduced earlier then she would be fine. 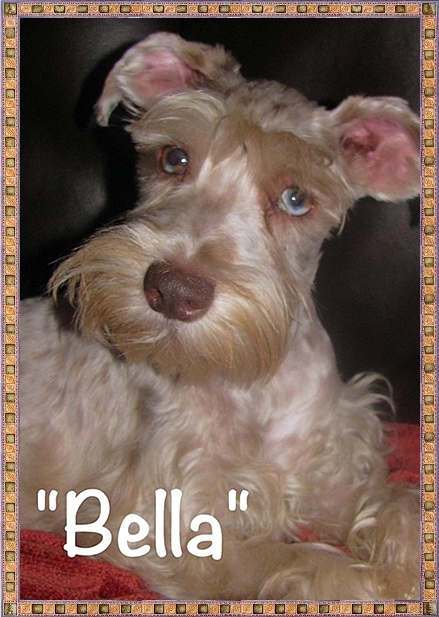 Bella's eye color is often passed down to her pups, some have had green eyes as well. Bella is an in between dog when it comes to her activity level. This girl loves to hike and chase small prey on our 5 acres. She will also settle right down next to you if you want a quiet evening. She is very loyal and a pleasure to own.